This dish will make a statement no matter what. Made from a single block of beautiful zebra black marble it will compliment any minimal or white bathroom holding your handmade soap in style. It is also perfect for jewelry, contrasting well with metallics. 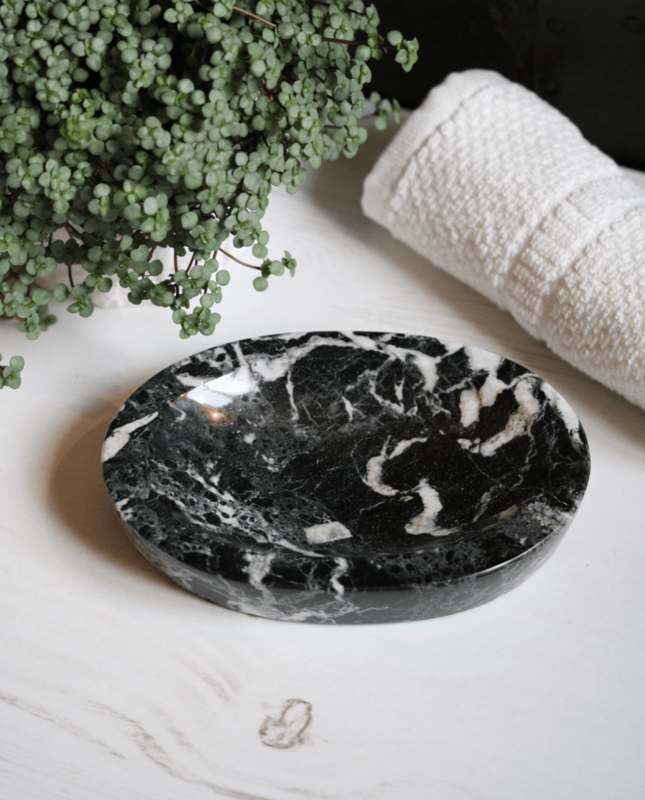 Originating from Pakistan, this striking marble stone is said to promote a greater connection with oneself and nature, enhancing spirituality and energy. A customer favourite for making a unique and lasting gift. If using as a soap dish, there is no draining hole in the stone. 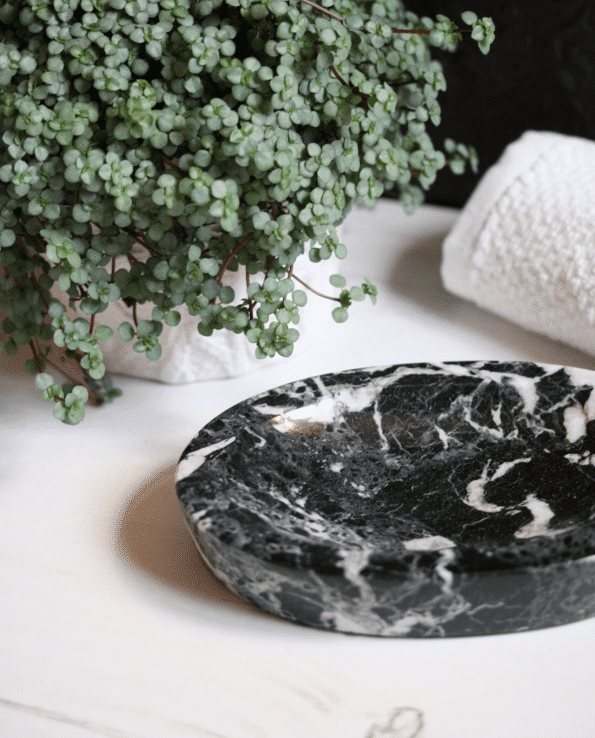 To keep your soaps lasting longer, regularly drain the dish. The dish is easy to care for and cleans well with warm soapy water.